To reference Christmas Vacation, remember when Clark’s boss stiffs him of his Christmas bonus and gives him the, “Jelly of the Month Club?” Then Eddie chimes in with, “Clark, that’s the gift that keeps on giving the whole year.” Port Marigny is not far off, as it is the gift that keeps on giving! For the record…myself nor anyone I’ve spoken to, is against development in the area of the pre-stress site (a common misconception), just not the EXTREME amount of development that was being proposed. The amount of density proposed made as much sense as Uncle Eddie kidnapping Clark’s boss (even though it did work out in the end and he got his bonus). The current City Council members (minus councilman Keller), voted NO on the application of Port Marigny/pre-stress site. This was on March 9th of 2017 after an exhausting 2 years on behalf of the applicants’ team trying to sell the City of Mandeville something, “we just had to have,” that would supposedly only generate a few additional cars on Monroe Street (really?). This project did not make sense to the MAJORITY of the good citizens of Mandeville, nor did many of them support this extreme high density (5 pounds of crawfish shoved into a 3 pound bag). There were shoddy presentations to the public beginning from the very first charade charette! They could be easily scrutinized by anyone who could do simple math and were trickled with miscalculations. THIS is when the citizens joined together! During public meetings, many friends, family and business people who reside outside the City of Mandeville, were paraded into the P&Z meetings and City Council chambers, to show that that this project was “super awesome and had so many cheerleaders” (connected to the applicants). The supporting team, repeatedly said publicly that the opposition was just a few, though my inbox knew better! Heck, they had to move the City Council meetings to a larger building in order to accommodate the large crowds (crowds largely in opposition to the proposed development). During the year in P&Z, clauses in the CLURO (Mandeville’s land development regulation) that prohibited developing land below 5′ elevation were somehow overlooked. In addition, the CLURO does not include any provision for waiving the 5′ elevation prohibition (for this specific type of development). Regardless, the 5′ elevation problem was neither pointed out by anyone of authority, nor was it discussed in the multiple P&Z meetings set aside to review the Port Marigny development proposal and the development plan was passed on to the City Council with P&Z’s rubber stamp of approval. Once the application hit the City Council, the citizens became highly organized, opposed in the masses (again, not just a few), and finally became so frustrated, they hired a professional consultant to review everything for them and had the professional present his findings to the City Council. Dr. David Depew, did something NOBODY else on P&Z took the time to do, he blew up the contour map, overlaid it on the development plan, and voila, the result demonstrated that much of the proposed development was below the 5′ contour line. This fatal flaw alone made the entire plan, well…a complete misfire! It was ultimately voted down by the council with 4 votes against (Councilman Keller voted in favor despite this 5′ contour revelation). Next stop…Lawsuit City from the applicant – and depositions, which former Councilman Burguieres referenced in a recent Facebook post, that somehow this 5′ BIG DEAL was still not a big deal – though it IS a big deal! CALL TO ACTION! Before the planned Executive Session for April 12, where there is a chance that the city could settle on this matter and maybe somehow roll over to the fact that the applicants are now right and the city is wrong. Please tell your City Council members that your position has not wavered on this matter! 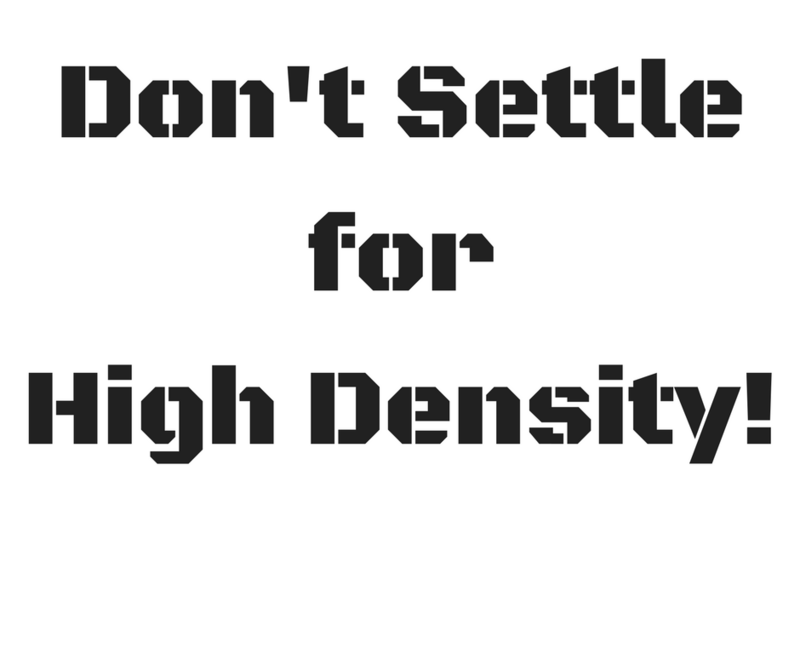 TELL YOUR COUNCIL MEMBERS THAT YOU DON’T WANT THEM TO SETLLE FOR HIGH DENSITY!